MIDLANDS South MDC members have threatened to stage a protest over the continued incarceration of party organising secretary and Mkoba MP, Amos Chibaya, Chiwundura legislator, Livingstone Chimina and other party activists at Whawha Prison over allegations of inciting violence during the January fuel price hike protests. 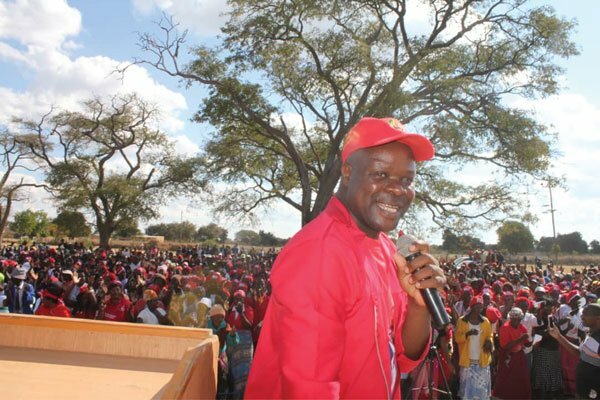 Speaking at a Press conference held at the Gweru party offices on Monday, MDC Midlands South chairperson Francisco Masendeke alleged that the charges levelled against the opposition members were “trumped-up” and baseless. “Honourable Chibaya and Chimina are disciplined members of the party and they do not engage in acts of violence,” he said. Masendeke said opposition party members were law-abiding citizens, but they had reservations on the justice delivery system, which they alleged was now being compromised by the interference of the Zanu PF government. He said the opposition party would wait for Chibaya and Chimina’s appearance in court on February 11 and February 7 respectively; and failure to grant them bail, they would take to the streets. The two MPs, who were granted bail by the High Court, were immediately arrested on fresh charges soon after their release from Whawha Prison. The post MDC Midlands plots demo over Chibaya, activists detention appeared first on NewsDay Zimbabwe.